This painting was inspired by my curiosity and social media. For a while now I have been thinking about the process of making an acrylic pour. The project materials surprised me. 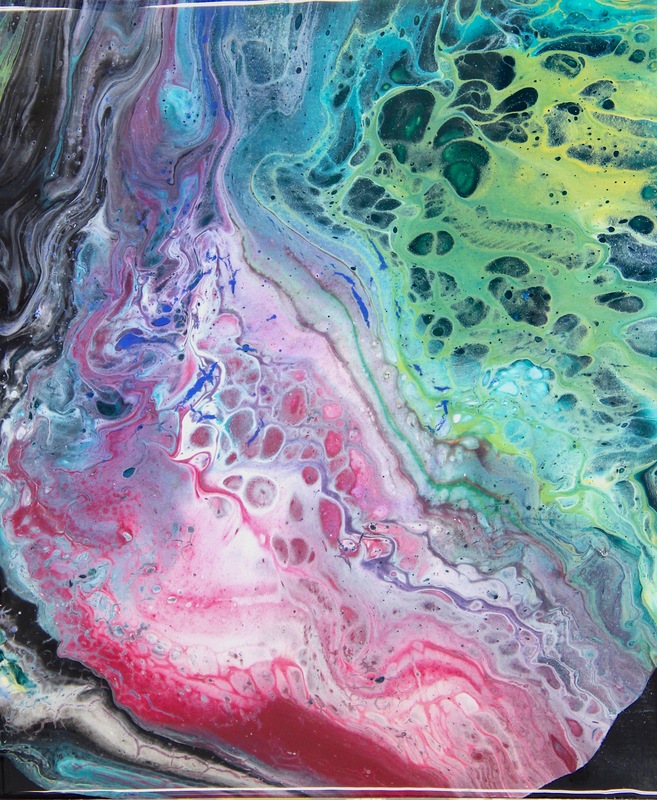 I always imagined to make a pour painting, you just dump a bunch of acrylics on a canvas but now I know there is so much more that goes into it. This piece consists of silicon and latex based floetrol assisted by acrylics. The results of my painting are exciting and cosmic.